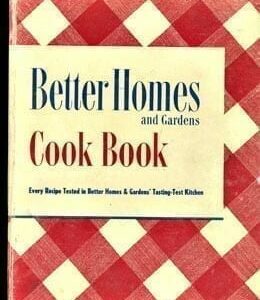 Better Homes and Gardens Cook Book De Lux 1949: Better Homes and Gardens Cook Book, 1949 version of the De Lux Edition, published by the Meredith Publishing Company, Des Moines, Iowa. Tab indexed. Binder edition. Spine cover mended with librarian’s tape. Lots of general use, but all the pages are here. Some pages with minor stains. Tabs are in good shape. 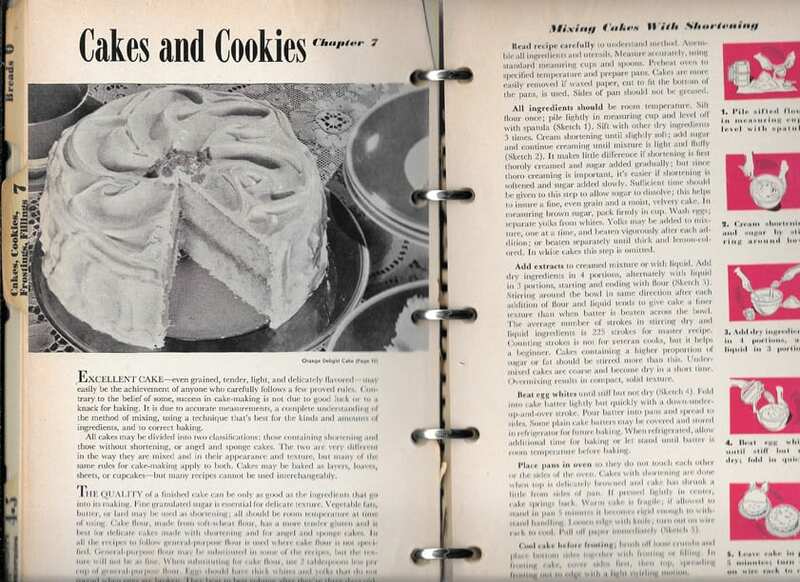 The original owner of this cookbook must have been a devoted subscriber to the Better Homes magazine, because she’s added many additional recipes clipped from the magazine. 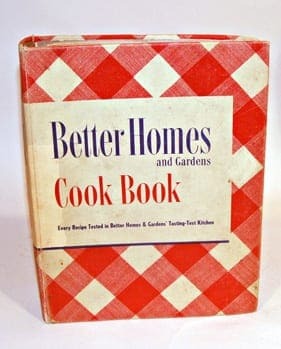 I see recipes from 1959, 1955, 1961, 1957, 1966, 1960, 1958, 1969, 1953, 1950, 1975, 1970, and more. She also kept recipes from advertisements and other magazines. 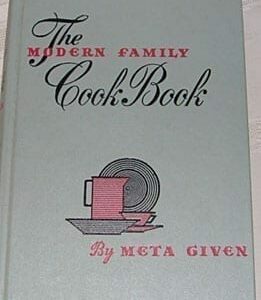 The cut-out pages make the cookbook look a little messy, because some of the pages are too big and they got a bit ragged. 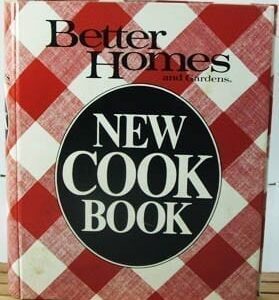 But you’ll have many more recipes!